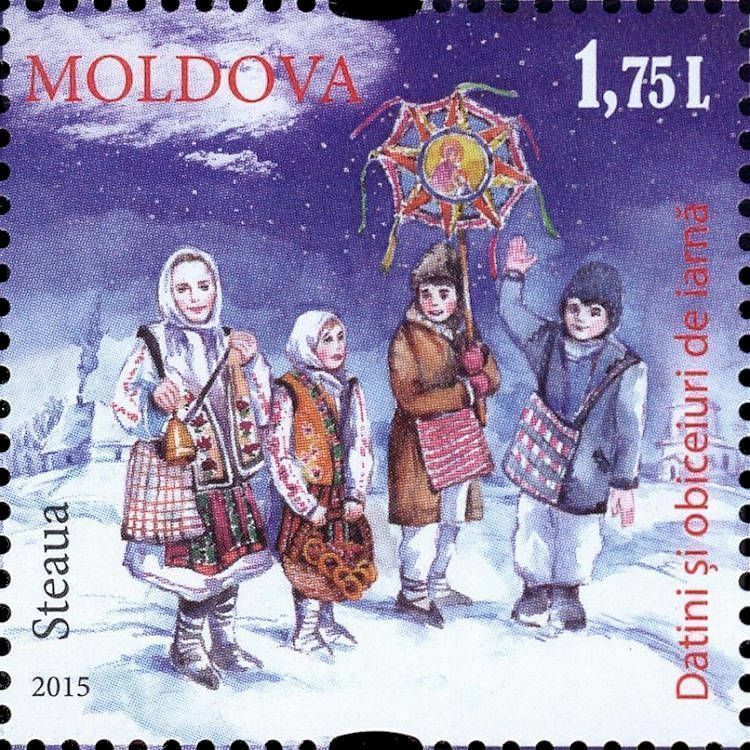 On 4 December 2015, the Post Office of Moldova (Poșta Moldovei) issued a series of postage stamps with the title Winter Customs and Traditions. The issue comprises two stamps, with associated cancellation (postmark) and first day cover (FDC). The designer was Iurie Palkov. The printing was performed by Nova Imprim, Chişinău. 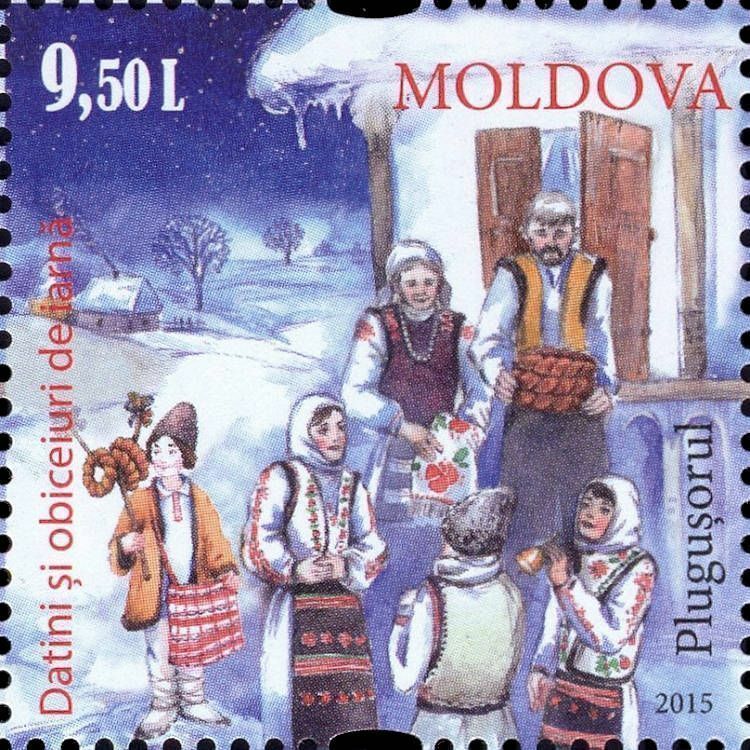 Plugușorul is a Romanian New Year's tradition and carol. Read more.. This article uses material from the Wikipedia article 'Plugu%C8%99orul', which is released under the Creative Commons Attribution-Share-Alike License 3.0.